A beautifully rendered fantasy world comes to screens this June 17 in “Heavenly Sword.” The film is based on a game that was a launch title for the Playstation 3 and has since then become one of the company’s best-selling game titles. The movie leaps from the console and heavily bears the influences of ancient Asian architecture and landscapes, with a mix of European technologies and accents. Centuries old, this world, from villages to castles, breathes magic and fantasy from every corner. In “Heavenly Sword,” a weapon of immense power believed to have been wielded by an unnamed Heavenly deity against a demonic warlord called the Raven Lord. After the battle was won and the Raven Lord defeated, the sword was left in the mortal world, becoming the center of wars over its power. The fighting made the sword lust after the life of its users, and the use of the sword became a curse, eventually leaving each wielder dead as its power grew. A warrior tribe finally took charge of the sword, ending the wars and pledging to keep it safe and unused for the world’s own good. Among the tribe, a legend said that the sword’s original wielder (the so-called “chosen one”) would be reborn in the Year of the Fire-Horse, and that this figure would unite the world’s scattered tribes and lead the world to peace. Nariko, voiced by Anna Torv, was born in what is known as the Year of the Fire-Horse. According to prophecy, a male was destined to be born that year and lead their clan into unprecedented era of peace and prosperity. However, when a girl, Nariko, was born, and her mother died shortly thereafter, the tribe believed the gods had forsaken them. Nariko became a pariah among her own people. Takashi, her father’s priest, was the only tribesman who seemed to care for her. He tutored Nariko in the ways of the warrior, and she would prove to be an excellent pupil, to the point where she became the best fighter in the tribe. Although she is not the “chosen one” of prophecy, Nariko proves her valor and bravery in battle, and is ultimately tasked with keeping the Heavenly Sword away from King Bohan (voiced by Alfred Molina). The adopted sister of Nariko, Kai possesses a child-like oiutlook on life, and is the last surviving member of one of the many clans wiped out by King Bohan during his conquests. Both believed to be outcasts, Nariko and Kai developed a sisterly affection toward one another, with Nariko watching out for Kai and Kai looking up to Nariko. 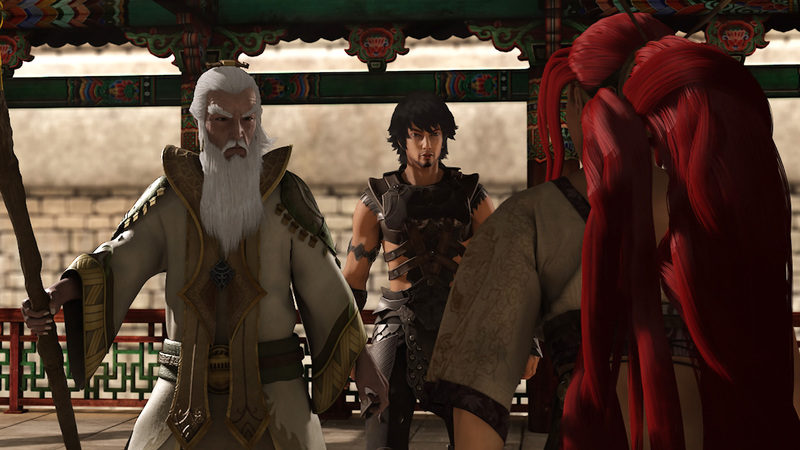 “Heavenly Sword” strikes in cinemas this June 17 from Crystal Sky Multimedia.